Planning your spring marketing campaigns…maybe summer, too? Remember the huge surge in wholesale and retail sales after 2014’s brutal winter. The increase in spending was NOT just confined to those in the harshest climates and history may very well repeat itself this year. Now’s the time to plan ahead and capitalize. How to go about it and achieve higher profit margins? That’s the question. There are many decisions to make and details to consider…and it’s the details that can make a difference in custom displays. Any effective plan starts with identifying targets. What product will move best at a discount, and how deep should that markdown be? When will that promotional timetable take place? Seasonal considerations have to be taken into consideration where applicable. Obviously, promoting wool socks in June won’t go over nearly as well as sunglasses. And be firm about your anticipated promotional deadlines before you go to the printer. Glossy or thick stock? What font and finishing details? 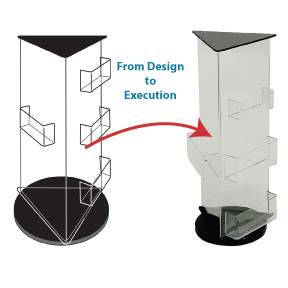 There’s more planning than many realize when it comes to executing a successful display. It takes the right marketing, fine-tuned printing, an eye for detail, and strategically locating Custom Sign Holders, Poster Holders, and Custom Brochure Holders. Don’t leave eye-catching POP Displays out of your strategy. They too play an integral role in successful campaigns. Consider the options before making decisions on sizes in your print materials. This can be a crucial oversight. 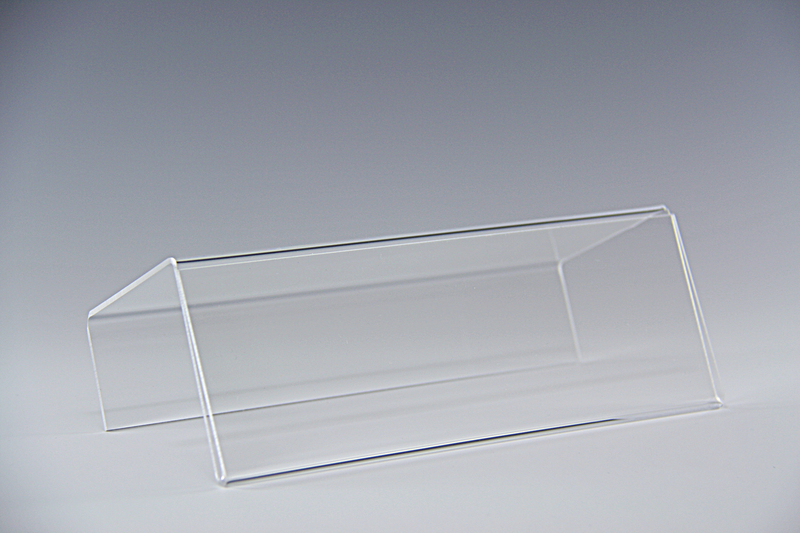 To make the most significant impact with your Custom POP Display, be sure you have a match in Sign Holder and Brochure Holder dimensions because you’re going to find a wide variety of size options, from 3” x 1” up to 17” x 11” in Acrylic Sign Holders alone! At least, that’s what you’ll find in standard stock at Plastic Products Mfg (PPM). Got the sizes down? Next consider style and the benefits of personalization to increase brand awareness…and ultimately, sales. 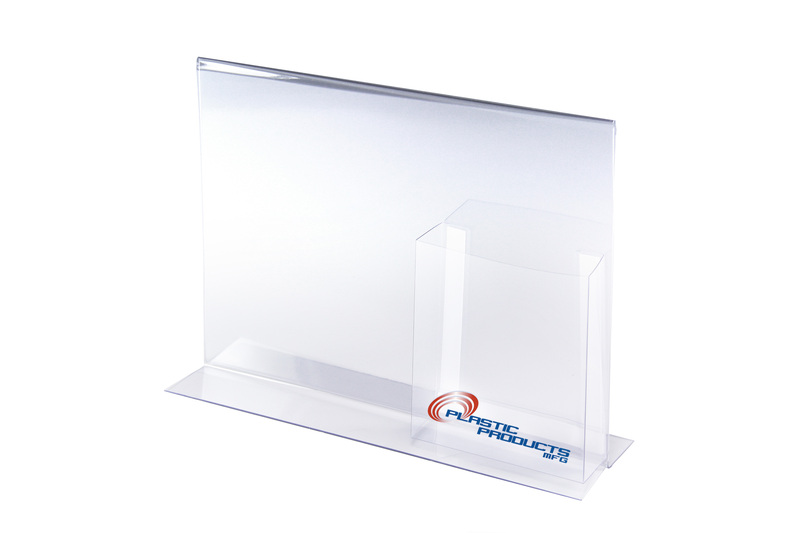 Complement your new print promotions with a Custom Acrylic Display Stand where foot traffic is heaviest. This straight-up vertical display captures attention in the most positive light, and the sloped base supporting it is an ideal space for custom silk-screening, a PPM specialty. 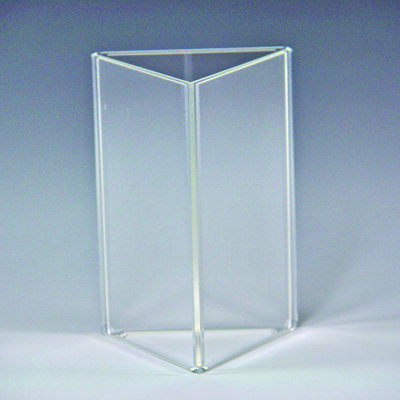 Picture your logo, product brand, text, and/or graphics imprinted directly on your Acrylic Display Stands and enhance the overall effect of your POP Displays…it really can make a measureable difference on retail floors, in restaurants, the hospitality industry, and during trade show season. Will your market sectors cover building supplies for contractors and the DIY segment? What about lawn tools, landscaping equipment, or camping supplies? Boats and summer cabin getaways? Show them off in Poster Holders. One of the biggest benefits of these POP Display styles is that you can put them anywhere. Not only do they stop traffic as countertop displays, you can also mount Poster Holders to walls and ceilings. The latter design works especially well in large showrooms, no matter how large the crowd. 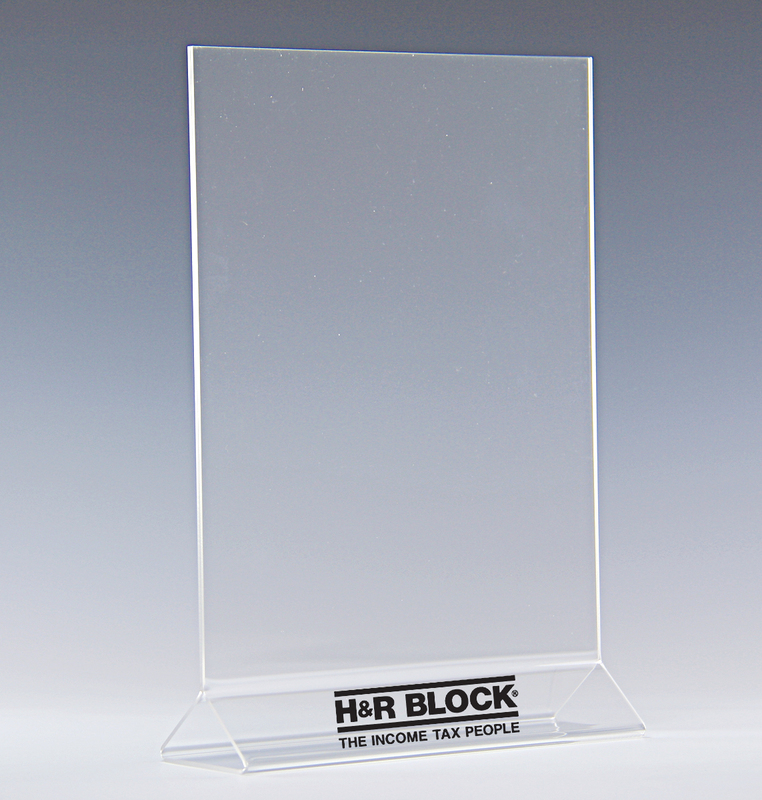 If you’d like to elevate your promotion more in elegance and class instead of height, consider Glass Green Photo Frames…proven attention grabbers. As the weather gets warmer across the country, thoughts turn to vacations and family getaways with kids out of school. Shoppers get out more and spend less time online. Home building gets busy. It’s definitely the time to show your stuff while the opportunity’s there. And even beyond sales efforts with Custom Brochure Holders and Sign Holders, increased foot traffic also presents an optimum time to interact through PPM Donation/Suggestion Boxes. Whether for fundraising, contests, or to gather important customer feedback, Custom Donation/Suggestion Boxes will fill quickly in the months ahead. 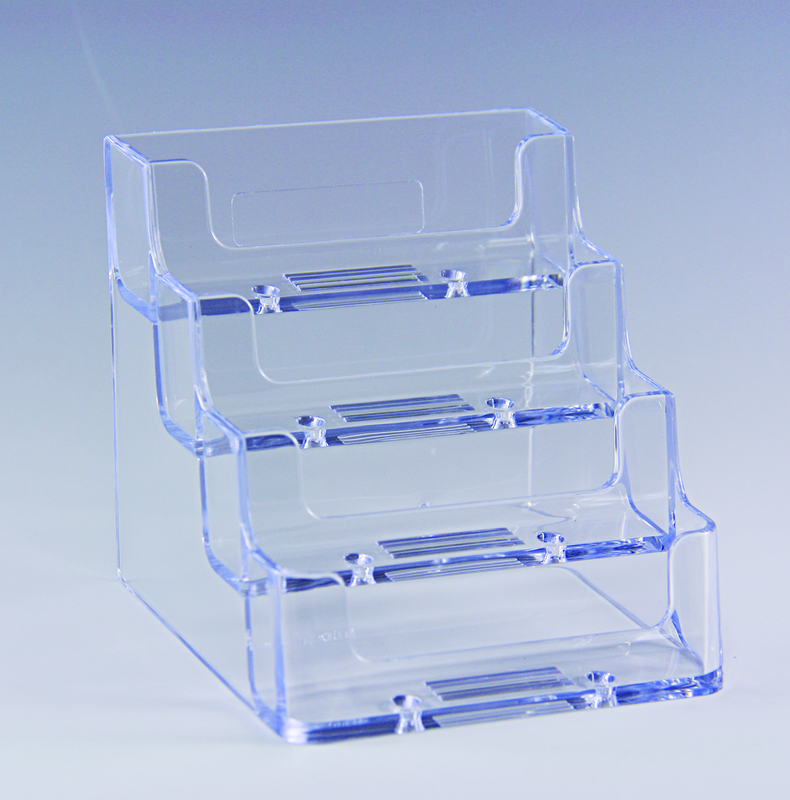 Hopefully, we’ve helped get the wheels turning for your upcoming POP Display success stories. But before closing, here’s one more area to note…especially if you’re planning a relocation, office upgrade, or the opening of a new location in the near future. Custom Name Plate Holders are also popular sellers this time of year for just such endeavors. PPM Name Plate Holders make the perfect fit on several different partition and cubicle sizes. Check out Cubicle Name Plate Holders and personalization options for them at www.plasticproductsmfg.com. 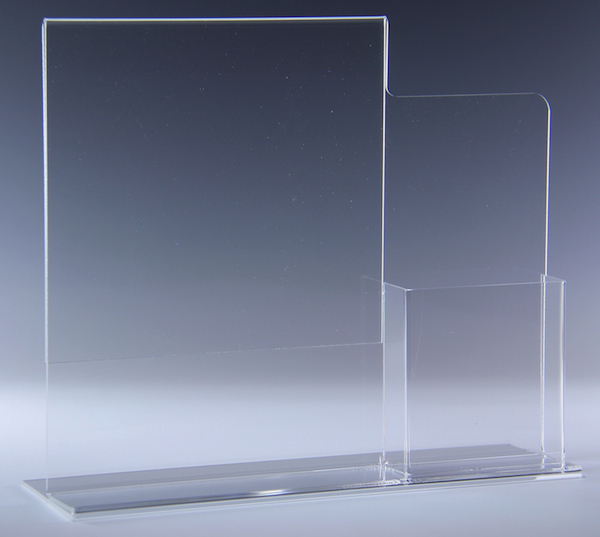 Along with Custom Acrylic Display Stands, Brochure Holders, Sign Holders, Poster Holders, and POP Displays, the season looks bright! Plus, all are available now and easily customized from an e-file! Just contact a PPM representative. It’s no coincidence that the world’s most successful brands show their staying power through an iconic logo or some other form of visual brand identification. Just look at the CBS “eye” or BMW’s blue-and-white “spinning propeller” logo. Both exemplify how name brand familiarity and logo recognition go hand-in-hand with success and longevity in the marketplace. It’s also a principle that can directly affect your bottom line and the market position you hold versus your competition. In this highly competitive, highly visual business world, marketing is finding ways to capture your eye and awareness…from vehicle wraps to sponsoring the weather segment on your local news. 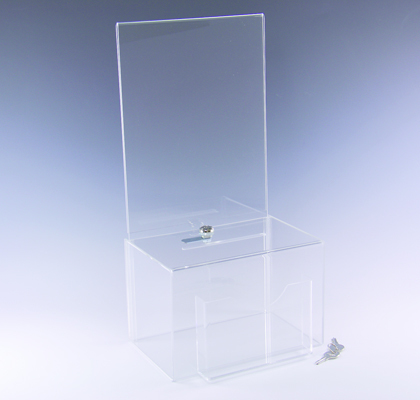 No opportunity should be overlooked, and that includes your Brochure Holders, Sign Holders, and POP Displays in general. Create that recognition and build brand awareness with Custom Imprinting from Plastic Products Mfg (PPM). Trying to set your home hardware/garden center apart from a competitive chain? Want patrons at your restaurant/bar to remember your excellent “Special of the Week?” It’s all in your branding. Silk-Screening is a finely detailed process that originated centuries ago. 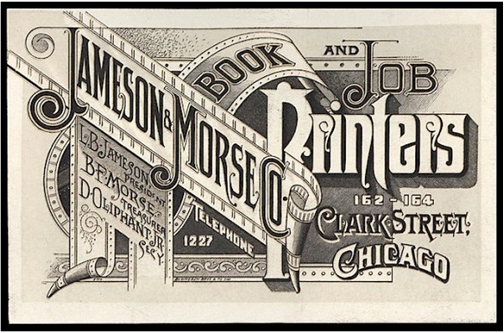 As a form of custom imprinting and branding, PPM mastered the craft over three decades ago. Today, PPM’s made it a relatively simple process…especially from your end. Skilled PPM techs can easily lift logos, text, graphics, and special promotions from an e-file. All you have to do is attach and send via e-mail. And where, exactly, will imprinting look and work best on your Sign Holders and Brochure Holders? PPM offers over two dozen standard Sign Holder styles and 500 standard sizes, so you have multiple options…especially when you consider that sizes can also be customized. A customer service representative can work with you on design placement for your custom imprinting. 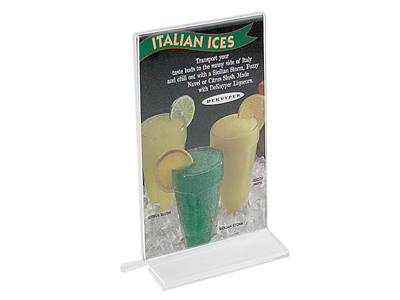 Menu Sign Holders can also be silk-screened with your most popular brands. 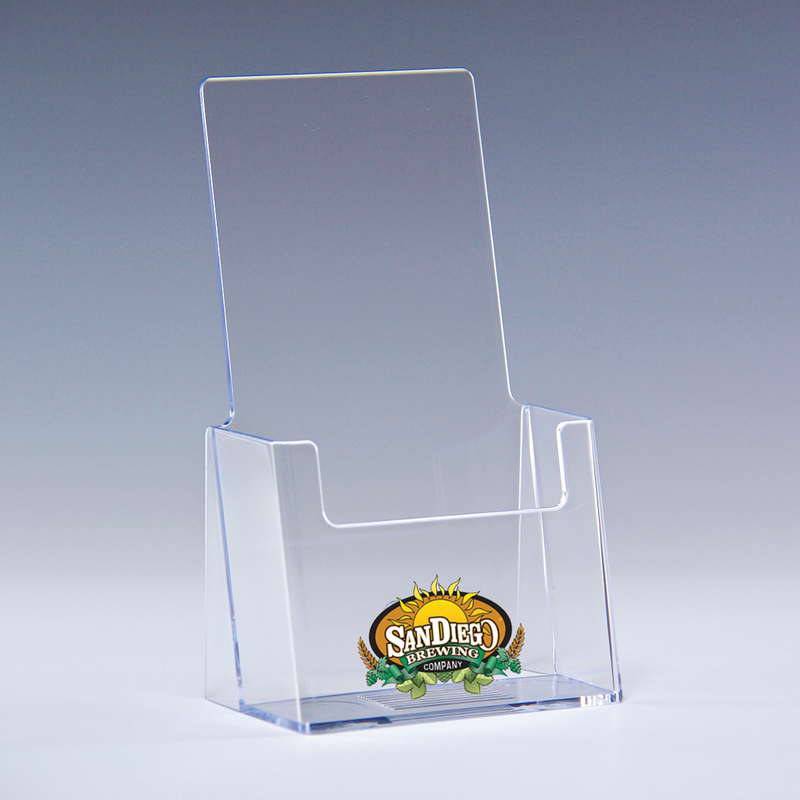 More prime marketing “real estate” on your POP Displays can even be found on the slanted bases of your Sign Holder preference. Personalized Brochure Holders and Menu Holders give you a highly effective way to create brand awareness whether unveiling a new look or something more nostalgic. PPM’s creativity in silk-screened artwork has opened a new dimension in branding beauty for Esther Price Candies and Ruby’s Diner. An untold number of eyes have also seen our customized Stella Artois Table Tents. Your customers are already there…the power of suggestive selling with visually enhanced POP Displays only enhances sales and your profit margins. Something else that’s good for profits? 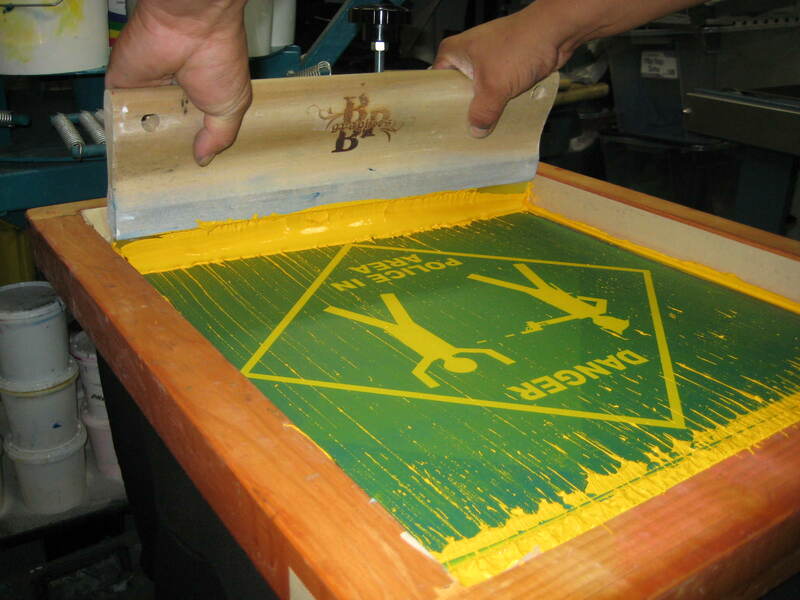 You can get excellent price breaks on silk-screening in bulk. If your Sign Holder/Brochure Holder order is for 100 to 249 pieces, for example, you can get a seriously budget-friendly price. Want a look at our custom imprinted masterpieces? Time to take that next step in brand recognition and promotional awareness? Contact your PPM representative to get the ball rolling. And as always, the best place to shop online is www.plasticproductsmfg.com. Think about it from a consumer standpoint and everyday face-to-face transactions. The mechanic, hair stylist, accountant, doctor, bank representative, real estate agent, furniture showroom salesperson…no wonder 10 billion business cards are printed annually in the US alone! That’s according to www.statisticbrain.com, which also points out that company sales increase by 2.5% for every 2,000 cards passed out. Quite a return on a relatively small investment when you think about it. 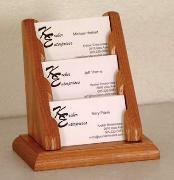 Are you looking for multi-pocket advantages but leaning more toward a Wood Business Card Holder than acrylic? You have options in 3, 6, 9, and 12 Pocket Business Card Holders in Light Oak, Medium Oak, or Mahogany…all adding to a warmer, welcoming environment.